At Extended Presence, we pride ourselves on the strong sales ROI and ROMI we deliver to our valued B2B clients and the effective relationships we form with our client’s sales, marketing and channel teams. 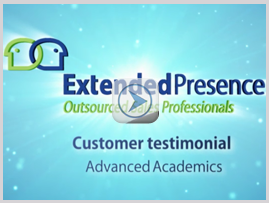 Please take a look at the following collection of client testimonials. If you don’t see one for your industry, please contact us to request one.